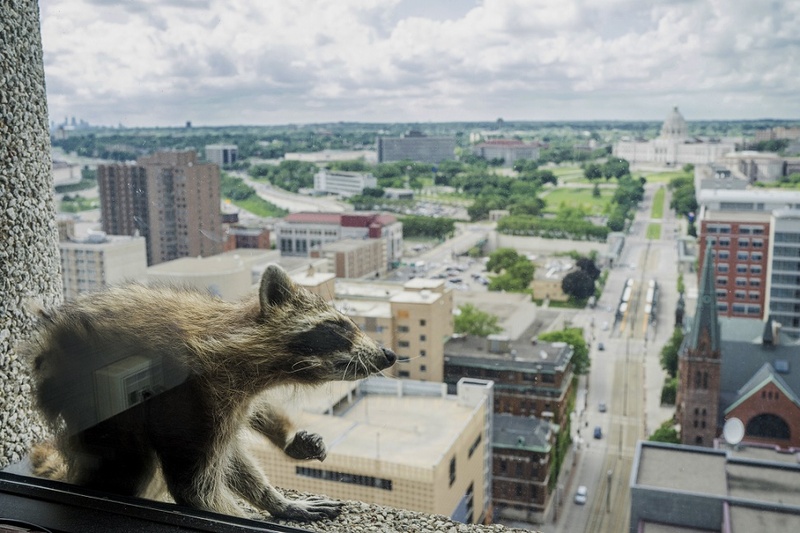 Onlookers and reporters tracked the raccoon’s progress Tuesday as it scaled the UBS Tower. By early Wednesday, the animal made it to the roof, where St. Paul Animal Control had placed cat food and a trap in hopes of enticing the animal to safety. The raccoon’s adventures caused a stir on social media, with many Twitter users voicing concern for its safety or joking about the drama surrounding the animal’s exploits. Minnesota Public Radio, from a building less than a block away, branded the raccoon #mprraccoon.